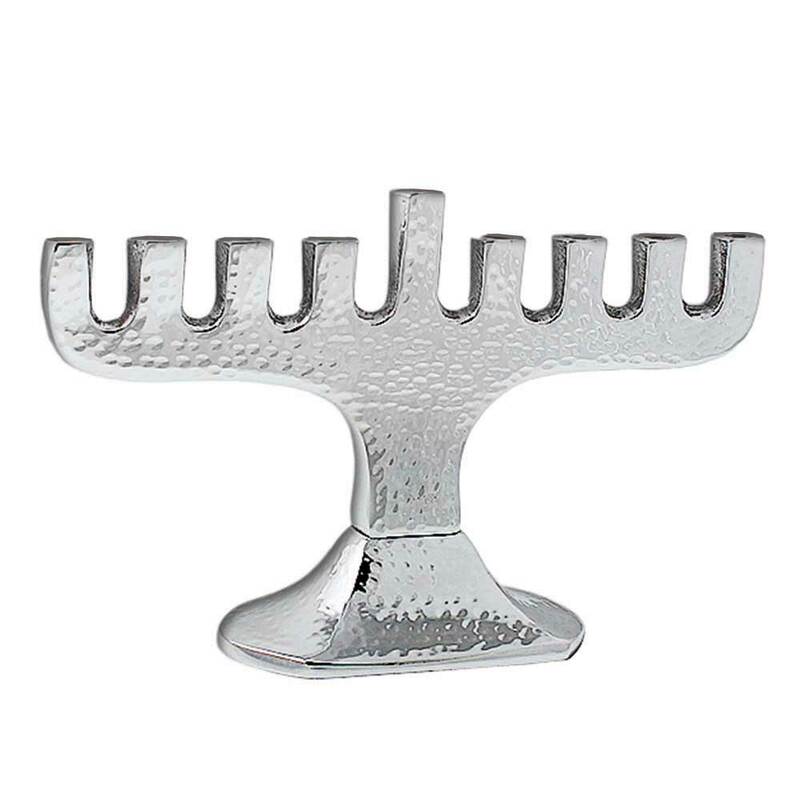 Modern square cut Menorah with extensive Hammered detailing throughout. A solid high polished aluminum body. Complimentary enough for any setting.